You have not been in Java or Bali if you have not seen Batik. Batik is cloth painted and dyed with specific techniques. The word "batik" is derived from Malay root language meaning "to dot", which refers to the technique of coloring and painting the cloth. The colored cloth is highly appreciated among local or international travelers as traditional craft. Batik is found in Middle East, Central Asia, and India over 2000 years ago. It is brought to the other parts of Asian by traders, and now, it is widely developed in Indonesia, especially Bali and Java. Some people believed it is formerly reserved by the royal family of Jogjakarta to show its "royalty". First of all, the painter should draw patterns with pencil on a piece plain cloth, then, he/she should dip his/ her canting in a pan of heated wax and move it following the pencil pattern. The wax will flow though canting tip. 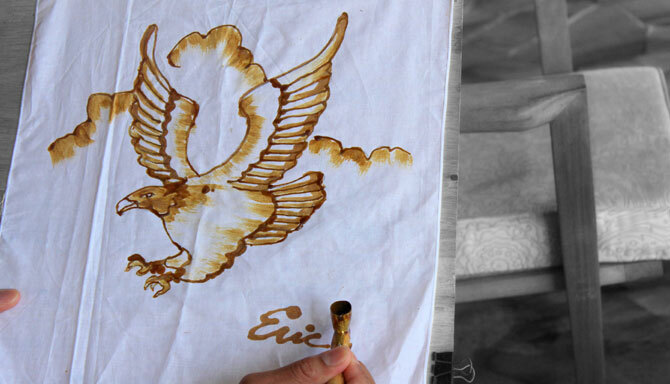 As an alternative of canting, the artists can use a stamp to apply wax on the cloth. 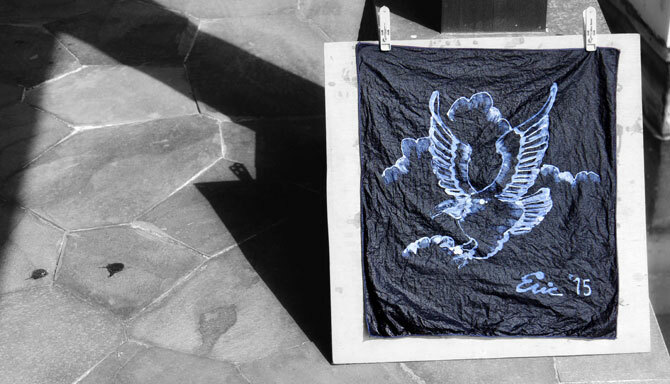 After applying the wax, the cloth is dipped in certain liquid substance to make it more reactive to color. Next, soak it in the coloring liquid. Boil the cloth to remove the wax afterwards. Last but not least, dry the cloth under the sun. Batik is now widely used for clothes, tablecloth, or other accessories. The detailed and colorful pattern of Batik shows the uniqueness of this craft. If you are interested in learning how to make batik, you may join batik class in the luxury all inclusive resort, Samabe Bali Suites & Villas every Monday at 2 pm. The maximum capacity of this class is 5 people. Samabe Bali Suites & Villas is a beachfront Bali luxury resort situated on the cliff of southern Nusa Dua. It features an ingenious all inclusive package allowing the guests experiencing the whole luxury the resort presents.